In a series of articles specifically commissioned for this volume, some of today's most distinguished business ethicists survey the main areas of interest and concern in the field of business ethics. 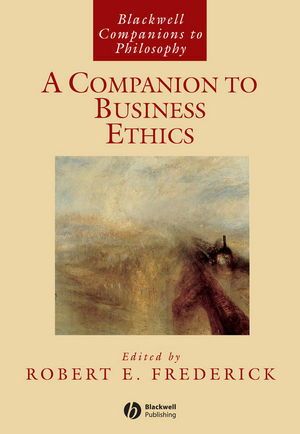 Sections of the book cover topics such as the often easy relation between business ethics and capitalism, the link between business ethics and ethical theory, how ethics applies to specific problems in the business world, the connection between business ethics and related academic disciplines, and the practice of business ethics in modern corporations. Robert E. Frederick is chair of the philosophy department at Bentley College, a research scholar at the Center for Business Ethics, and the editor of the journal Business and Society Review, also published by Blackwell. He is the author of The Philosophy of Right and Left and co-editor (with Michael Hoffman) of Business Ethics: Readings and Cases in Corporate Morality. Frederick and Hoffman are also editors of the new series Foundations of Business Ethics.